Lester Allyson Knibbs was born in Brooklyn and grew up in Harlem and the Bronx. He studied piano with Dr. Eileen Southern (author of The Music of Black Americans). He graduated from Music & Art High School. He attended Harvard University, where he was a "Harvard National Scholar" (one of the top 50 in an entering class of 1,200), and admitted to the graduate seminar in music composition, both at the age of 16. He has a B.A. and a Ph.D. from Harvard. In fact, Dr. Knibbs is the fourth African American to receive both the B.A. and the Ph.D. from Harvard University. Before him were W.E.B. Du Bois, Alain Locke, and Frank Snowden, Jr. He taught at Antioch College in Ohio, Fayetteville State University in North Carolina, and Howard University in Washington, D.C. He began giving piano lessons when he was 13; a friend's mother was his first student. In the Nation of Islam, under the leadership of Elijah Muhammad, he taught high school algebra and a college-level music course. Later, he taught Language Arts (English) in the Adult Education Program. In 1976, Dr. Knibbs began using the name "Abdulhakim Muhammad" (or "Hakeem Muhammad"), and used that name exclusively until March 2003. From time to time, since December 1973, Dr. Knibbs has given presentations on the African roots of European classical music. Starting with the origin of the word "music" in the language of ancient Egypt, continuing with the contribution of the Moors (Black African Muslims) in Spain to the development of medieval European music and even the contribution of African captives in the "New World" to the harmony and symphonic structure of classical music, and bringing the history into the 20th century with the influence of jazz on such European classical composers as Stravinsky (Russian), Milhaud (French) and Hindemith (German). Working with saxophonist and theater artist Idris Ackamoor, Artistic Director of the San Francisco-based theater arts program Cultural Odyssey, Dr. Knibbs performed unique and energetic improvised music in New York, San Francisco, Austria, Germany and the Netherlands. The sound of Dr. Knibbs's improvised music is similar to Cecil Taylor’s. In 1998, he self-produced Inner Voices, a compact disk of his improvised music. He presented his Ode to Ota Benga, a historical lecture with piano improvisations, at the Bronx Academy of Arts & Dance (BAAD!) on June 30, 2001. In New York (in 1980 and 1998) and in North Carolina (in 1978 and 1979), Dr. Knibbs presented recitals of classical music and in 1980 performed the Bach D minor piano concerto with the Fayetteville Symphony Orchestra in Fayetteville, North Carolina. Dr. Knibbs is a self-published author of historical essays, poems, and a play. His play, The Reservoir, had its first public reading at BAAD! on February 25, 2001. He has written a short book, Twelve Differences Between the Bible and the Qur'an, briefly comparing the Bible and the Qur'an. From April to December 2002, Dr. Knibbs performed Afro-Americana at Windows Over Harlem Restaurant on Thursday evenings. 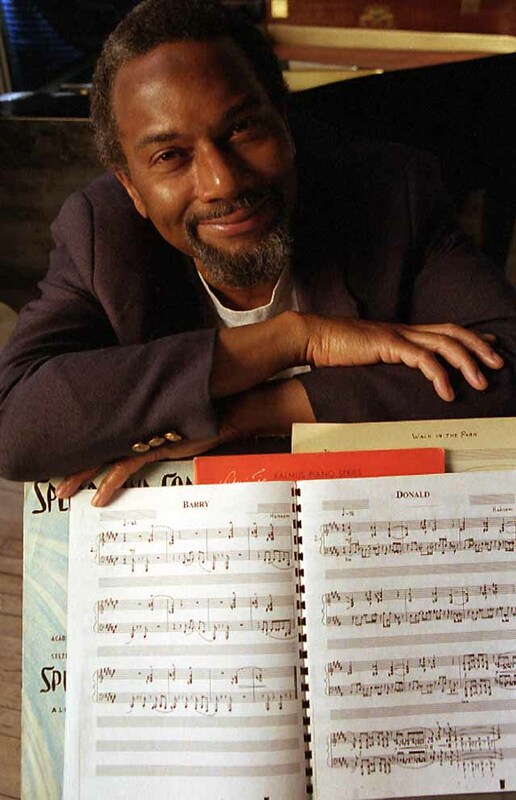 In his Afro-Americana series, Dr. Knibbs performs works in African-American styles drawn from the classical repertoire -- music by himself and by other African-American composers such as R. Nathaniel Dett and Scott Joplin, as well as by George Gershwin, Ernesto Lecuona, Louis Moreau Gottschalk and Claude Debussy.